Last minute shopping is something that most people have had to do in the past. At times, it’s completely unavoidable, especially if you’re a busy person. With that said, if it’s down to the wire and you don’t have the funds to buy an actual gift, DIYs can be a fantastic idea! 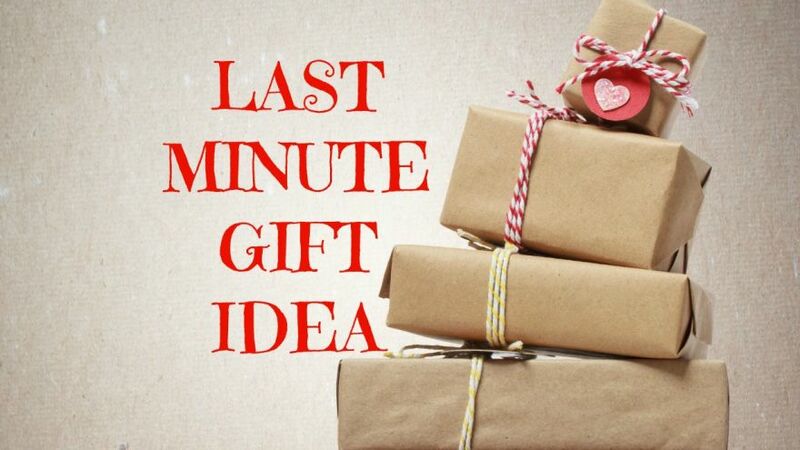 We’ve collected a list of our favorite last-minute DIY gifts that the recipient will actually appreciate and use. They’re incredibly simple and are sure to be one of the best gifts that someone can receive. If the guest of honor is someone who takes their health very seriously, you can always make them a tasty gift that they will love to have on hand. Homemade granola or trail mix is easy to make and requires ingredients that you likely have in your kitchen. It’s the type of gift that they can either keep on their kitchen counter or keep on their desk at work for a snack throughout the day. For this gift, all you’re going to need is a large mason jar, a variety of nuts, granola, and other healthy treats that can easily be combined into a dry mixture. 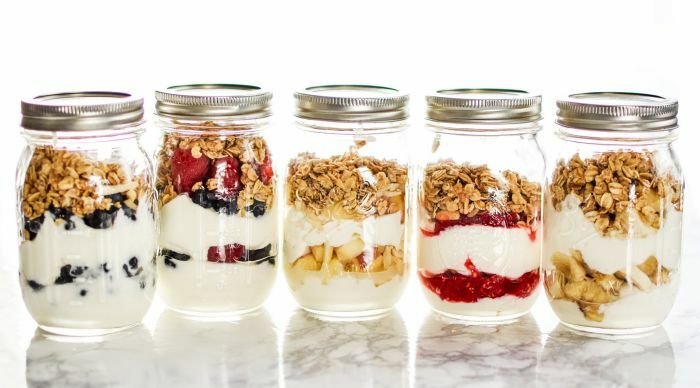 By filling the mason jar with all of the healthiest snacks you can think of, they can easily grab a handful throughout the day to satiate their appetite. As the perfect gift for someone who spends a lot of time in the kitchen, this DIY for an etched cutting board is a fantastic idea. You can etch their favorite quote, lyrics to their favorite song, or an inspirational message about love and family. Alternatively, you can write a great birthday message that they’ll be proud to display in their home. 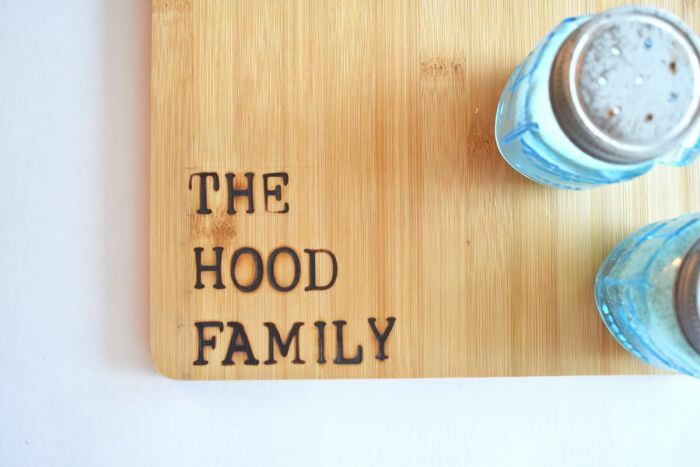 Instead of paying a company to personalize the cutting board for you, you can do it all on your own with a few items. If you don’t have the right equipment at home, you can easily go to a craft store to get what you need. You can also order them through Amazon Prime and opt for next-day delivery. ✓ Before etching, use your pencil to mark out what you want to engrave into the wood. This is the most important part, as it will be the guide that you use when making the permanent markings. If you’re not the most talented calligrapher, you can always find free online fonts and use them to create a template. You can then trace the lettering onto the board using tracing paper. ✓ Once you have the right design marked out, it’s time to power up your etching tool. Using the tool, begin to engrave the message or design that you have chosen. ✓ Wash the cutting board after you have finished to remove any debris and then wrap the cutting board to be gifted. This is the perfect DIY for someone who isn’t particularly creative and is truly strapped for time. Considering gift cards can be purchased from relatively every grocery store, drug store, or department store, the options are endless. What will take you the most time is finding the wallet that you want to buy, although they are readily available as well. The first step to this project is to find the perfect wallet. You’ll want to choose a style that the recipient will appreciate, but you’ll also want to make sure it has enough slots for the gift cards. You can then find an assortment of gift cards at varying values, depending on your budget. 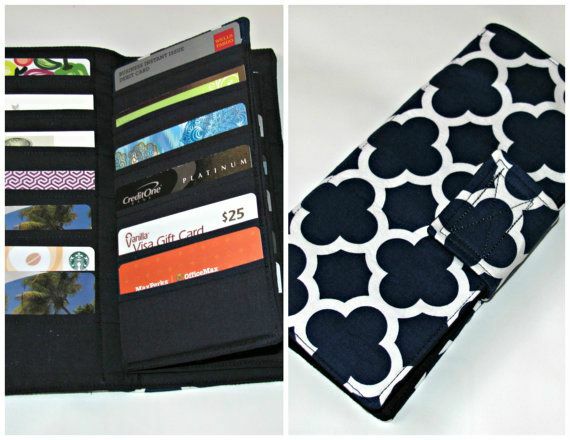 Prior to wrapping the wallet, slide the gift cards into each slot. At first glance, the recipient will be appreciative for the wallet itself. However, once they open it, they’ll receive a fantastic surprise. The main thing that we love about gift cards is that the guest of honor can buy anything that they want. There’s no need to worry about returning gifts or giving something that will sit in the corner of their closet. Additionally, it takes time out of shopping for the perfect gift. 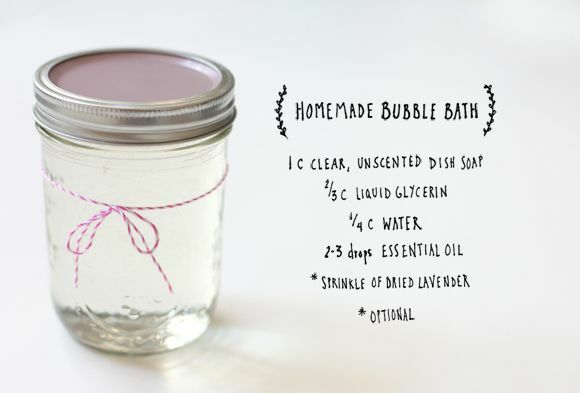 Instead of giving a generic bath set, you can quickly and easily create your own homemade bubble bath. There are two ways to do this project, one is faster than the other and requires a little less effort. For the fastest method, find your favorite bubble bath that you think the recipient will love. You’ll also want to find a beautiful empty bottle, which can typically be found at your local home décor store. The last thing you’ll need is sticker paper that can be printed on. Using the internet, find a design for a label that adds to the elegance of the bottle and print the design on the sticker paper. You can then affix the sticker to the bottle and fill it with your chosen bubble bath. For a more involved DIY, you can literally create your own bubble bath. First, you will need to find unscented soap and then gather a collection of essential oils that are skin-safe. You will also need to find an ornate bottle and print out a label for the bottle. Using a separate container, gently mix together the scentless soap and the essential oils. You can then pour it into the bottle that you have chosen and add the sticker for a beautiful finishing touch. What we love the most about this DIY is that it doesn’t require any wrapping. The beauty of the custom bottle is the main focus of the gift. You can add a cute little tag or ribbon to the neck of the bottle for an added embellishment. There are plenty of quick DIYs that you can do to create a fantastic gift that won’t ever be forgotten. Most of the projects on this list require items that you already have around the house, saving you time and money. There’s no reason as to why you should show up to a special event empty-handed, especially when you can use your creativity to make a fantastic present.